I write from the inside of a paper bag, where I have been living these last three months. The bag is a little on the small side, but it is quite near a large puddle of water, which, together with the mud, sustains me well enough. It may strike you that my story is a sad one, but I have long since come to accept, even cherish, this damp, quiet fate. Some say I was beggared by an act of corporate vandalism. Others that I have been duped, exploited, and sold into copyright slavery. But the simple fact is that Penguin Books are right. They were right to threaten me with legal action when I first released We Go to the Gallery, and right also to force me to pulp all remaining copies of the first edition. They were right to call my work morally bankrupt (which it is), and infer that it would corrupt the minds of young children (which it certainly has). They were right also to lie about the fact they owned the copyright to the original illustrations, because to do good, sometimes you have to be bad. Furthermore, I would like to personally congratulate the creative team at Penguin- they have ingeniously managed to come up with an original concept, that they copied from me. Almost word for word in places. And they were right to do that. Their new books clearly demonstrate that it is the working class, not the intelligentsia, who present the greatest hazard to our cultural, artistic and political heritage. And also hipsters, who in their frivolous narcissism also represent a tangible threat to good taste and common sense. They are so right to choose superfluous targets that won’t be there in a year’s time. There are moments of real peace and serenity here, inside my paper bag. I care not who placed me here, am even grateful for it, because they have the shown me the way to peaceful enlightenment, and acceptance of who I am. 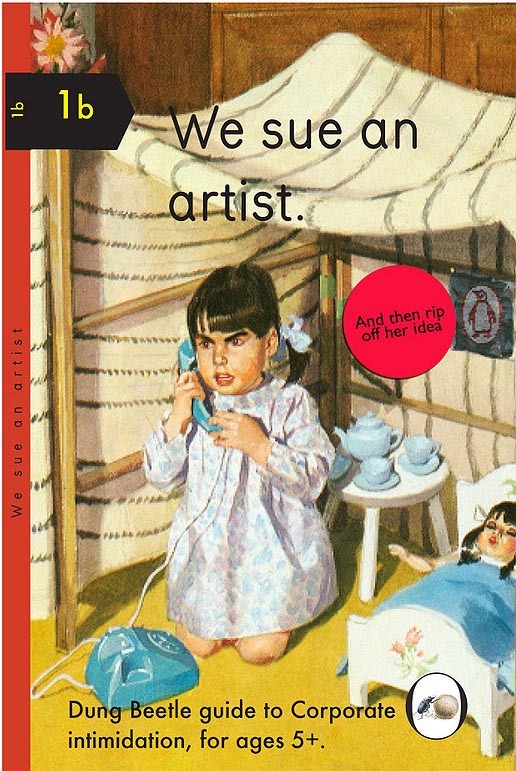 This entry was posted on 29 October, 2015 in homepage and tagged Miriam Elia, Penguin books parody, response to penguin books, we go to the gallery. Bookmark the permalink.